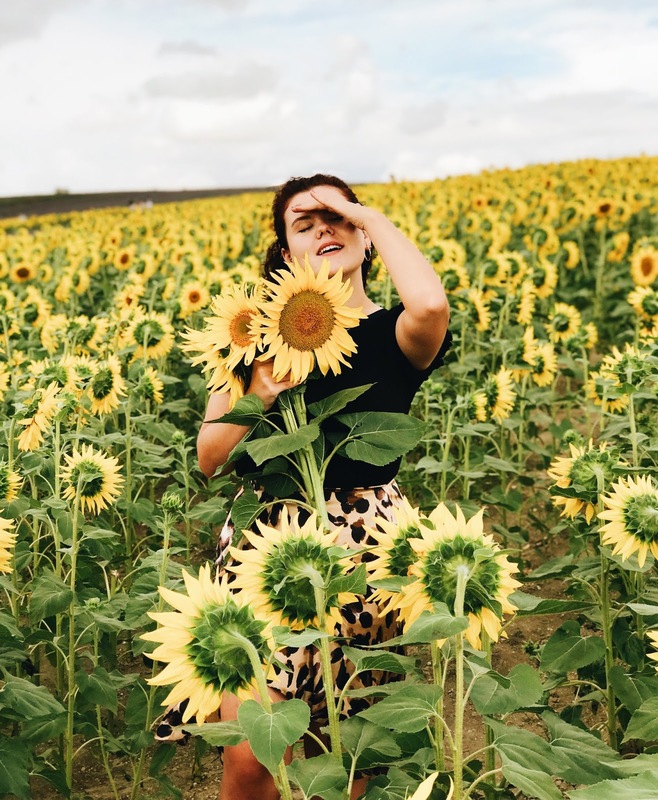 After discovering that there was a field full of sunflowers down the road from me, I just knew I had to take a visit and on Monday I did just that. 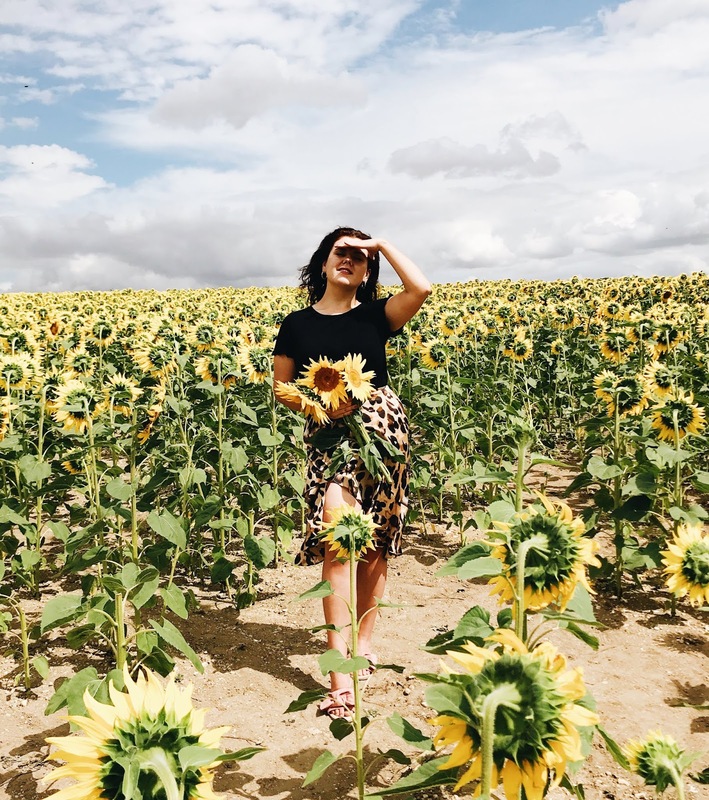 Although I had high hopes with what it'd look like, I can't actually tell you how amazing it really was seeing rows and rows of blooming yellow flowers - it seriously filled me with great joy! I went there to shoot this new Leopard Print Midi Skirt I've been wearing from Nasty Gal which I saw in a recent video by Lydia and it was the perfect contrast between pattern and colour. Armed with my camera and Tom, I loved the outcome and I hope you did too! It's made me want to own a few more leopard print items and channel my inner Kat Slater more often, this Miss Selfridge Dress is next on my wishlist and I think they transition well into Autumn too. After the trip, I was inspired to head back there at some point to shoot within the lavender too as the endless rows of purple lavender looks too gorgeous not to and I imagine a white dress and basket bag would be the perfect fit. I did manage to get a couple of bags of lavender whilst I was there and it's safe to say I was falling asleep in the car on the way home - that stuff seriously packs a punch. I ended the day with an evening catching up with a friend checking out a new local restaurant and chatting for hours on end sipping on cocktails and wine. 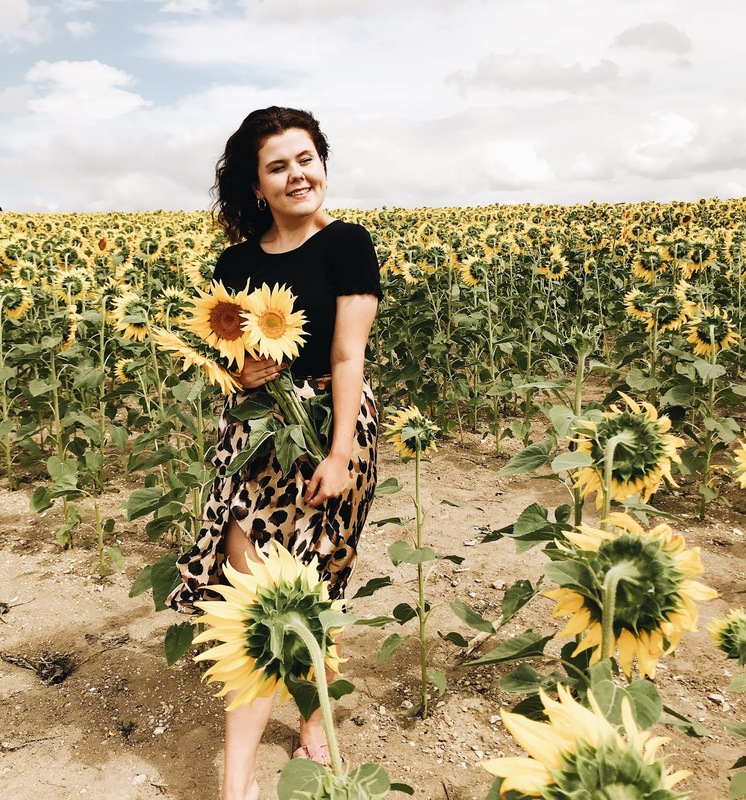 Although we're still only in August, I feel like Summer is going by so quickly and I want to make the most of the sunny weather, less layers and light evenings whilst I still can, so I've got lots of plans that I want fulfil before the colder months come. 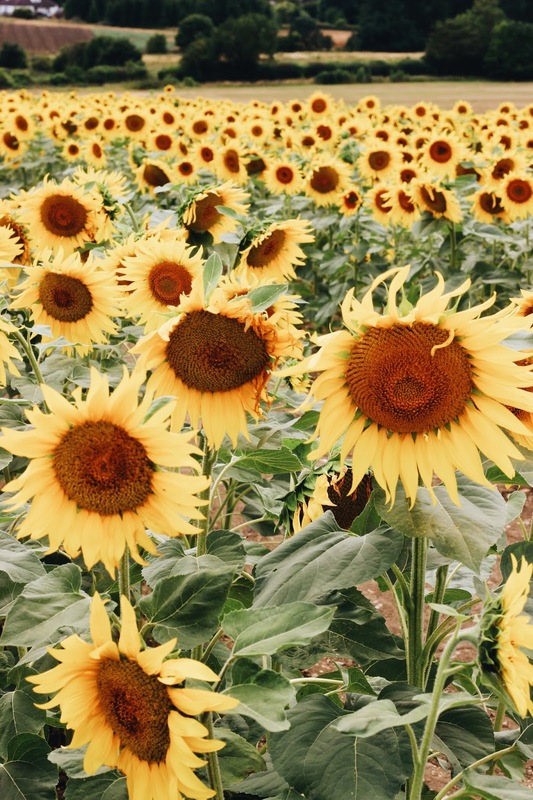 Have you been to a sunflower or lavender field before?